A great range of different joint types can be created easily applying several special connection elements, the design tools covers practically the whole joint standard Eurocode 3 Part 1-8. 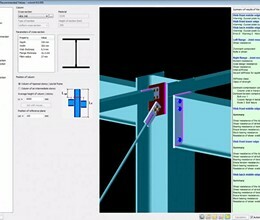 A joint can be defined alone or based on the global model by the automatic joint identification tool. A prepared joint can be placed several parts of the global model to make the joint integral part of it. 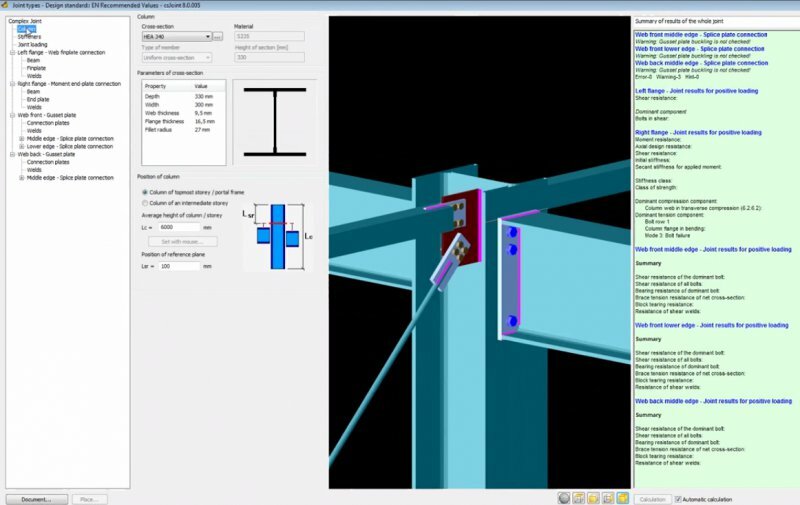 A placed joint is always automatically rechecked based on the current analysis results, and the connection stiffness is also updated modifying the global model consequently. * csJoint download link provides trial version of the software. No one has rated csJoint yet. Be the first to rate this product.